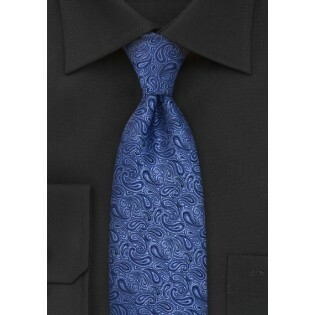 This bright blue necktie combines several shades of blue that make up this contemporary paisley design. 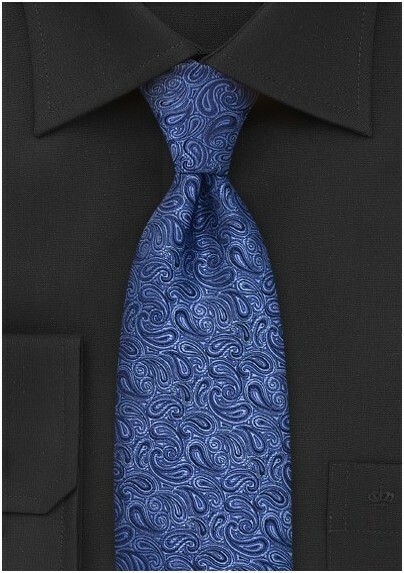 The bright blue color and subtle yet noticeable paisley pattern make this an excellent accessory for business and smi-formal events alike. This handmade tie by French designer Chevalier is also available in 4 other colors: golden-yellow, ruby-red, smoke-gray, and black with blue.